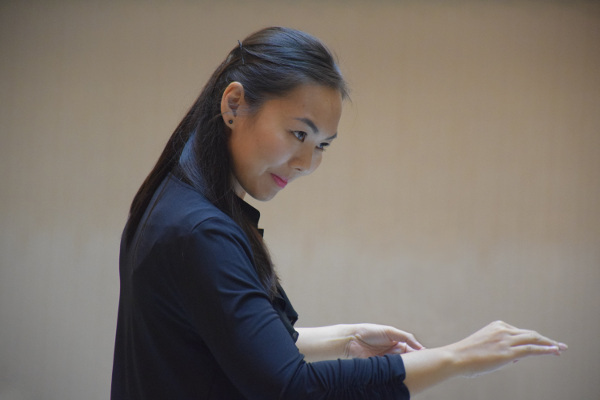 Elaine Choi contributes to Toronto’s vibrant choral community as a conductor, educator, and accompanist. She is currently the Director of Music at the Timothy Eaton Memorial Church. As a music educator, Elaine works as a faculty member at the National Music Camp and as a guest coach at The York School and Rosedale Heights School of the Arts. She also directs a 50-member children’s choir program at the Timothy Eaton Memorial Church. Additionally, Elaine is the Co-Founder and Co-Conductor of Windago, an ensemble of wind instruments and SATB chorus, which has premiered works by Alice Ho, Stephanie Martin, Kevin Lau, Elisha Denburg, and many more. Elaine’s early music studies began on the piano and violin. She is also proficient on the erhu, a traditional Chinese string instrument. Elaine is currently the Associate Conductor of the Toronto Chinese Orchestra. Elaine earned her BMus in Music Education (2008) and a MMus in Music Performance, specializing in Choral Conducting (2010) at the University of Toronto. She has also earned an ATCL (1999), an AmusTCL Diploma (2001) in Piano Performance from the Trinity College of Music, London, and an Advanced Certificate (2000) from ABRSM, England. She is a three-time recipient of the Elmer Iseler Fellowship in Choral Conducting (2008, 2009, 2014) and a finalist in the Sir Ernest MacMillan Foundation Fellowship Award in Choral Conducting (2012). In 2014, Elaine began her doctoral study in choral conducting at the University of Toronto under the tutelage of Dr. Hilary Apfelstadt. At the present, she directs the University of Toronto Women’s Chorus and serves as President Elect on the board of Choirs Ontario.